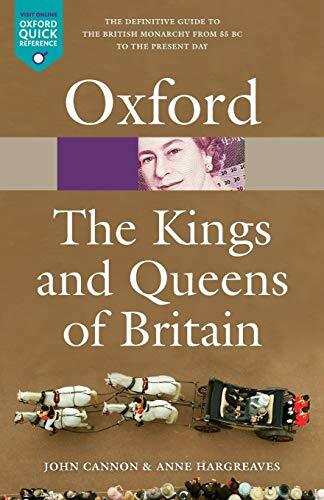 This authoritative and accessible guide to the British monarchy spans the Romano-British rulers of 55 BC to the present day House of Windsor. 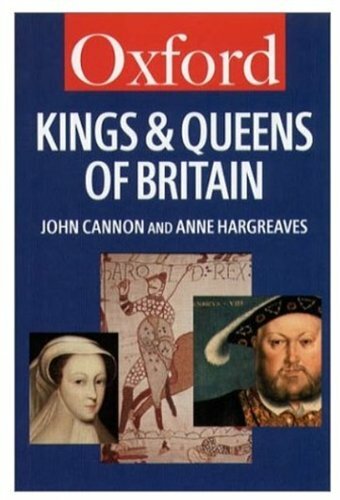 Generously illustrated with maps, photos, paintings, and genealogies, it contains a wealth of information on the rulers of Britain, including their policies, personalities, key dates, and legacies. There are almost 600 entries, which are organised by regions up to 1066 and by royal lines thereafter. Feature articles throughout the guide provide in-depth information on key royal topics, including Coronations, Regalia, the Tower of London, and - new to this edition - Westminster Abbey and St Paul's Cathedral. Revised and updated to include recent events, such as the second marriage of Prince Charles, this new edition also contains a topical introductory article on the changing role of the monarchy. There is a useful glossary, a list of recommended further reading, and a new appendix of recommended web links, accessed and kept up to date via a companion website. Comprehensive and elegantly written, this fascinating guide to the British monarchy is an essential reference resource for teachers and students of British history, and for anyone with an interest in Britain's rulers through the ages. Professor John Cannon held the chair of Modern History at the University of Newcastle upon Tyne until 1992. He has edited several titles, including The Letters of Junius, The Oxford Companion to British History, and The Blackwell Dictionary of Historians, which was awarded a Library Association prize for reference works. His other publications include The Fox-North Coalition, Parliamentary Reform, Aristocratic Century, The Oxford Illustrated History of the British Monarchy, and Samuel Johnson and the Politics of Hanoverian England. Dr Anne Hargreaves was formerly a clinical academic at Welsh National School of Medicine, and Universities of Liverpool and Newcastle. She was co-editor of Medicine in Northumbria and author of White as Whales Bone, a study of dental practice in early modern England. 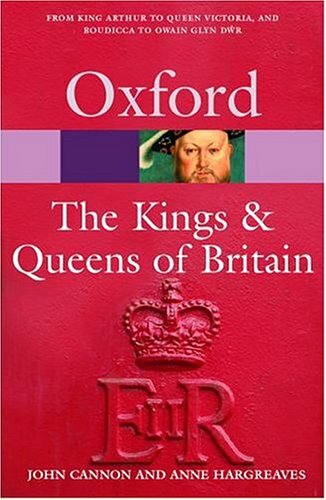 She was a major contributor to the Oxford Companion to British History.